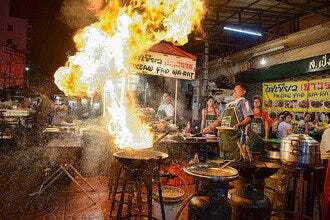 Mention Thong Lor to anyone in Bangkok and they will immediately think food and drink. The fashionable highbrow district is Bangkok's most happening and trendiest food area, and new restaurants pop up here daily. Despite being home to a hodgepodge of ethnic, the winners on Thong Lor remain Thai, along with a vast selection of Japanese. For Thai, Supanniga Eating Room serves up classic yet simple dishes from the owner's grandmother's recipe book (with dishes from the eastern town of Trat), while Michelin "Plate" awarded Somtum Der serves up authentic northeastern Isan cuisine. Down the road, Soul Food Mahanakorn remains a unique venue serving Thai street favourites with a twist. 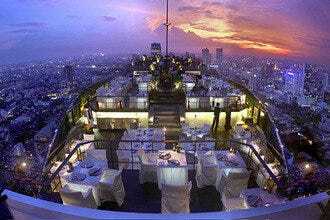 And one of Bangkok's Michelin star restaurants, Bo.lan, is over on Soi 53, serving a carbon free footprint menu. You can also dig into spicy southern Thai fare at Phuket Town.There is also plenty of great Japanese food in Thong Lor as it is the home of the Japanese expat population, and soi 13 has a Nihonmachi full of izakayas and sushi bars. Places like Uomasa fly fresh fish in from Tokyo several times a week, and there are creative maki rolls at Maki on Fifth. For Japanese, you can literally walk half a block here and find a bevy of choices. For Italian purists, La Bottega di Luca is best, there is outstanding Yucatan Mexican at the superb Missing Burro, and for morning eats, Roast does outstanding breakfasts to go with their gourmet coffee, which will kick start you for another day of culinary delights in Thong Lor. Roast combines some of the best coffee in Bangkok along with breakfasts to die for, featuring hearty fare such as poached eggs with corned beef hash, eggs Benedict with Parma ham, banana stuffed french toast, and the house standouts, which are duck hash browns made with duck, potatoes, carmelized onions, garlic and herbs. 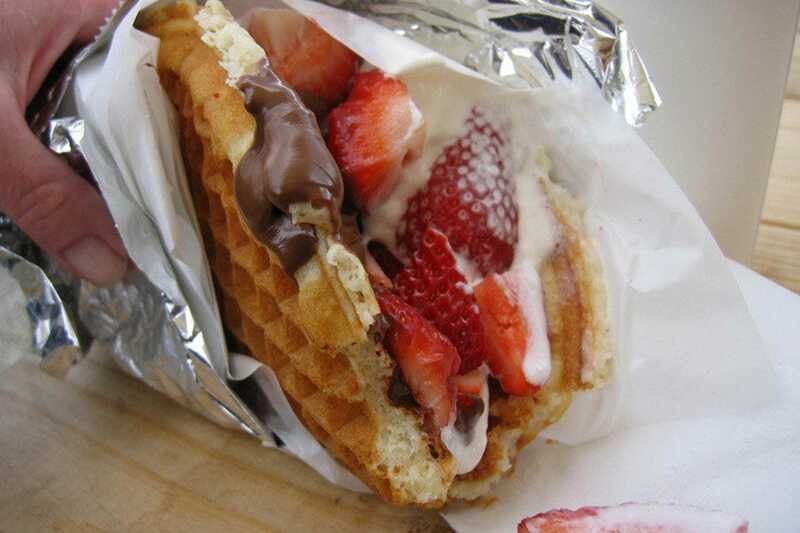 For those with a sweet tooth, the strawberry waffles stuffed with vanilla ice cream will guarantee a return visit, and of course this can all be washed down with wildly exotic roasts such as Ethiopian sidamo natural organic or Nicaraguan jinotega. The restaurant doesn't only do breakfast either. All day brunches are on tap, and the dinner menu is also quite stellar with beautiful barbecued ribs and wild mushroom risotto just a few of the mouthwatering delectables. Even foreign expatriates tend to miss out on experiencing southern Thai cooking, partially due to the fact that Bangkok just doesn't have a whole lot of known restaurants serving southern cuisine. 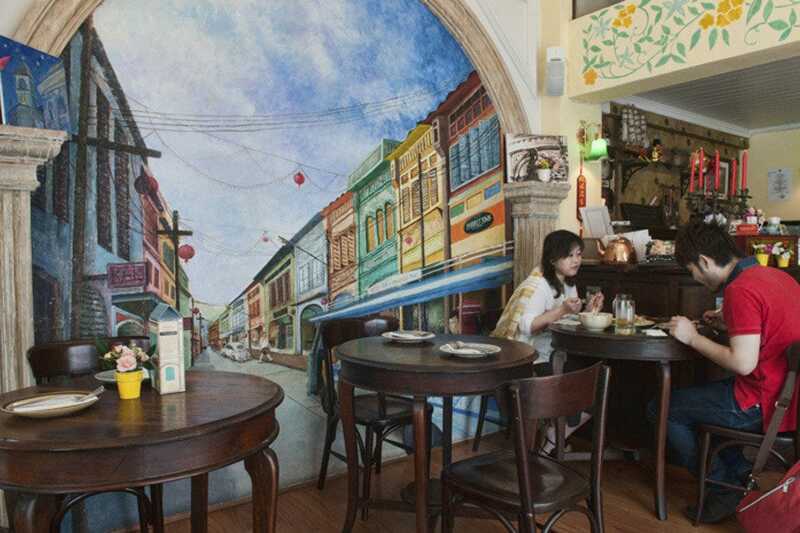 Phuket Town creates the spirit of the south, housed in a quaint cafe painted with murals designed to resemble a colonial Phuket shophouse. The kanom jeen rice noodles served with spicy coconut based fish curry are as authentic as it gets and the restaurant serves hard to find southern menu items such as sataw (stink beans, cooked with chili paste and shrimp) and kua kling (chicken or beef saturated with curry paste, chilies, garlic, shaved lemongrass, and lime). Bo.lan makes almost every "Best" list when it comes to outstanding Thai food. 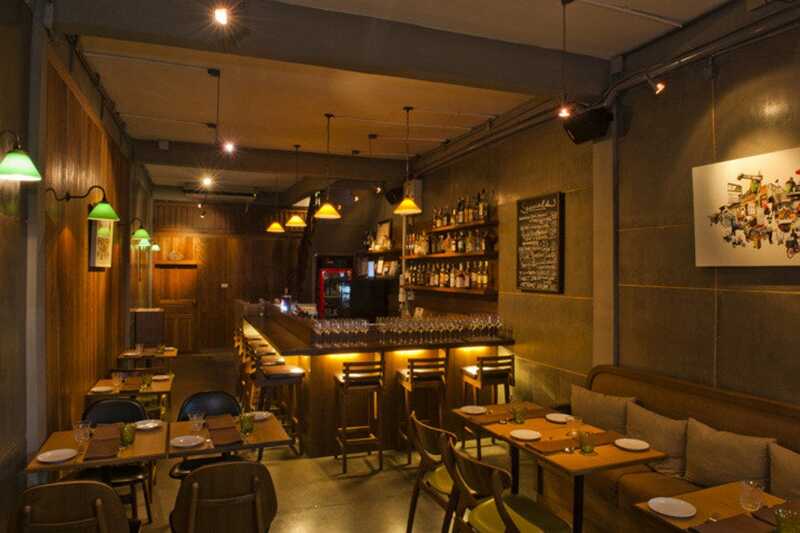 Recently relocated to Sukhumvit Soi 53 near trendy Thong Lor, the restaurant prides itself on using bio diversified local products, works closely with local farmers, and is big on giving back to the community. 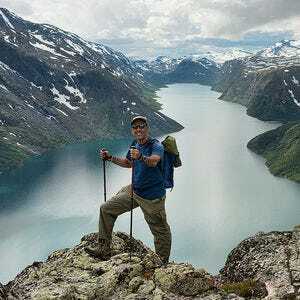 In fact, the restaurant has set out to achieve a zero carbon footprint status in the next few years, doing heavy duty recycling as well as filtering and serving their own bottled water. 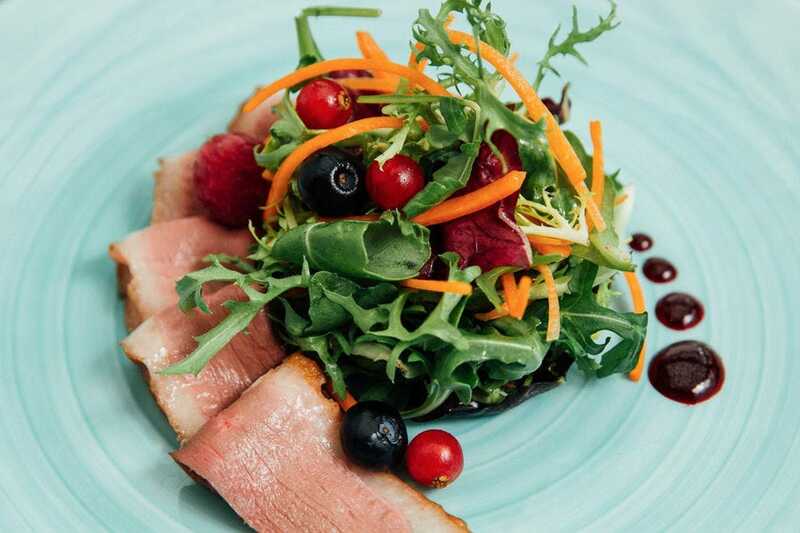 The restaurant specializes in tasting menus that run upwards of 1800 baht, and feature a rotation of classic Thai favorites from Penang curry to free range duck salad and much more. 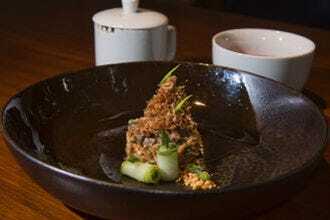 There are also lunch courses served, either set or a la carte, which are of good value and a great introduction to the artistic cuisine served up here. Maki on Fifth brings a breath of fresh air to all the endless number of sushi joints clamoring for attention on the Japanese heavy Thong Lor dining scene. 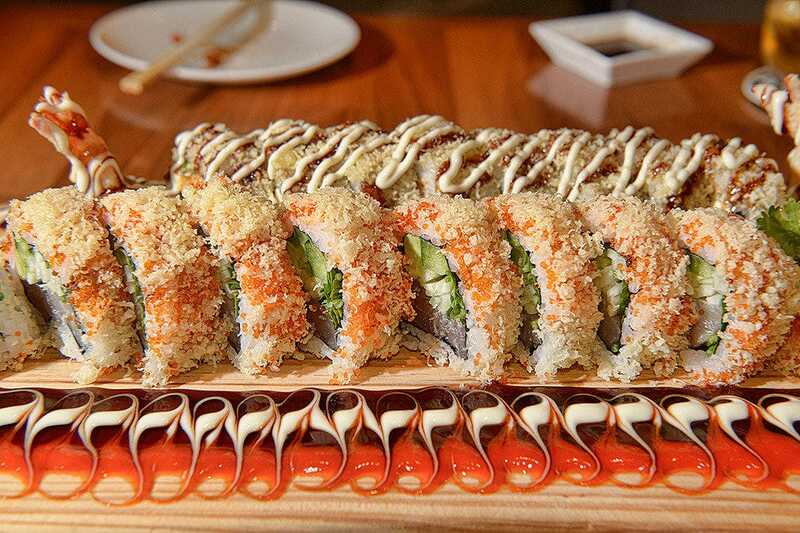 The restaurant pays homage to Chicago style fusion maki sushi rolls, which dominate the extensive menu. The presentations are works of art, and chances are you've never had at least a few of the concoctions. Top choices include the Poseidon on Fire, in which crab, shrimp, and scallop meat get mixed into a zesty chilli sauce and then the whole thing is set on fire at one's table. Also of note is the Dragon Fly, bursting with cream cheese, avocado, and tempura shrimp, and for those who can handle uni sea urchin, a couple of Uni shooters will put you over the top. The decor is industrial New York inspired loft; both relaxing and easy going, and you're close enough to all your neighbours to gawk at their rolls, and probably decide to order yet another one for yourself. Former Atlantic Monthly food critic Jarred Wrisley wanted a place where foodies could enjoy top notch Thai street food without having to sit on stools in the heat, and his converted Chinese shophouse restaurant is now the talk of the town, with divine northern haeng lay Burmese curry and roasted larb phet duck salad heading a menu full of Thai culinary delights. Wrisley's sleek eatery in fashionable Thong Lor is popular amongst both locals and expats, as the ingredients are fresh, spices not toned down, and yet the owner's unique twists and experimentations are what give the dishes that extra pizzazz and set Soul Food Mahanakorn a world apart from other dining options. The quaint three story shophouse on Thong Lor is easy to miss it looks so small from the outside, but once through the doors, it is a relaxing and homey spot, probably a recreation of what grandma's kitchen was all about, and indeed, the owner serves up his grandma's hard to find recipes that he grew up with in Trat, a town on Thailand's eastern seaboard. The menu is extensive here, and has many hard to find old school recipes that will have you ready to come back before you've even left! The absolute standout that one can see on just about every diner's plate is the moo chamuang, a stewed pork stew dish made with leaves from the Guttiferae tree and Thai herbs, so tender and flavour filled that you'll be begging for more rice to soak up all the juice. Even more amazing is the most plain looking dish you'll ever come across, ka lum tod nam pla, which although it might sound fancy, is basically a plate of cabbage. But oh what a cabbage it is, stir fried up with a super high grade fish sauce from Trat Province that makes it taste unlike any other cabbage you've ever had. Chef Luca Appino started in Bangkok with the well known Enoteca restaurant, and now is involved with the gourmet Pizza Massilia, but this is his signature eatery, a bright spot with an outdoor terrace set on the Sukhumvit side of town, on Soi 49. The food is simply outstanding, ranging from the DOP burrata cheese served with 36 month aged Parma ham served as an antipasti, to the entrees like tagliolini all'astice angel hair pasta served with Brittany lobster or the Verrigni spaghetti served with clams sautéed in white wine sauce. There are also fine grilled meats as standouts, with either wagyu beef tomahawk steaks or 150 grain fed beef tenderloin or Australian ribeye, along with catch of the day fresh seafood for those who want something a bit lighter. A tremendous list of Italian and New World wines completes the festivities, and you are guaranteed to be leaving happy and sated at this excellent Italian venue. Uomasa is a long standing player on the Japanese food scene that often falls under the foreign tourists radar. Slightly hidden away in Nihonmachi "Japan Town" in Thonglor Soi 13, Uomasa is immensely popular with the expat Japanese crowd, and for very good reason. The fish here is some of the freshest in Bangkok, and this is one of the few Bangkok establishments to fly fish in from Tokyo's central fish market. Standouts include lobster sashimi, tuna maki rolls, and beef tongue stew, for which Uomasa is noted for. You'll pay a bit more here for all your fresh fish, but it is well worth the splurge, and Uomasa has a very pleasant vibe, with a crowded sushi counter or options to sit tatami style or at tables and chairs. 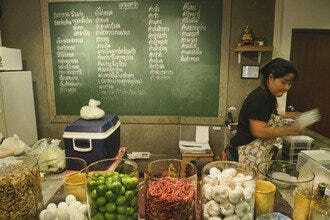 Both one of Thong Lor's best restaurants and one of Bangkok's best Mexican restaurants, this cantina run by two Mexican brothers serves up truly authentic Yucatan-influenced cuisine.. 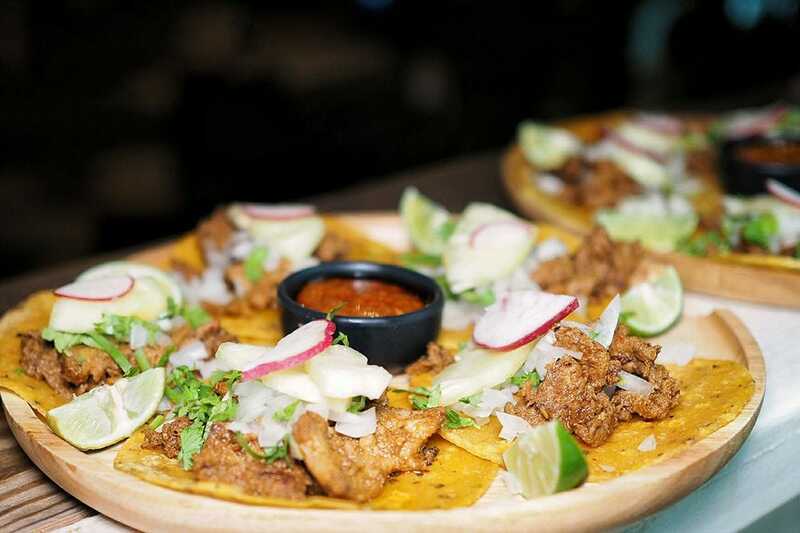 Here you can delve into authentic Mexican delights that you've probably never heard of before, like tacos de barbacoa y panuchos de cochinita (panuchos, which are Yucatan specialties made with refried tortillas stuffed with refried black beans and topped with chopped cabbage, pulled chicken or beef, tomatoes, pickled onion, avocado, and pickled jalapeño pepper) or pambazos (fried bread filled with potato and chorizo dipped in a red guajillo sauce), These are but a fraction of the unique gourmet menu items. The setting is pretty cool too, with the restaurant hidden down a dead end soi away from the crowds in Thonglor, and housed in a pair of colourful funky shipping containers, with a garden for outside dining as well. 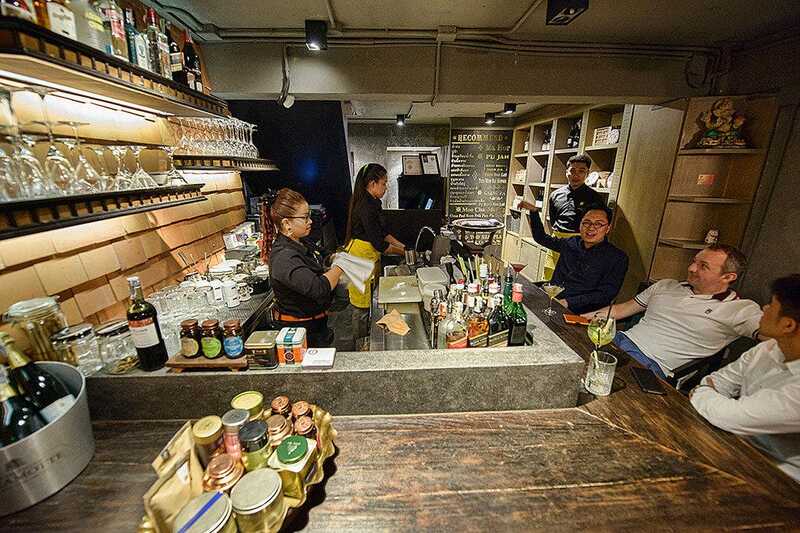 They even do live music on some nights, and have well-crafted drinks to accompany the stellar eats. While Thong Lor is home to some of the city's most chic eats, Thailand's spicy northeastern fare, known as Isan food, is sadly under-respresented. 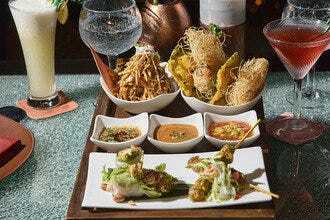 That has all changed with the opening of Somtum Der, an authentic northeastern eatery that has already garnered plenty of acclaim. Run by one of Bangkok's top restaurateurs, Thanaruek Laoraowirodge, Somtum Der serves up popular Isan street treats like larb tawt (spicy minced pork salad), kor moo yang (grilled marinated pork), somtum pla tu khao mun (shredded unripe papaya with grilled mackerel and coconut rice), and tum suo sakhonnakorn, a somtum with Thai vermicelli and white popinac seeds (an ingredient which cannot be found in Bangkok). 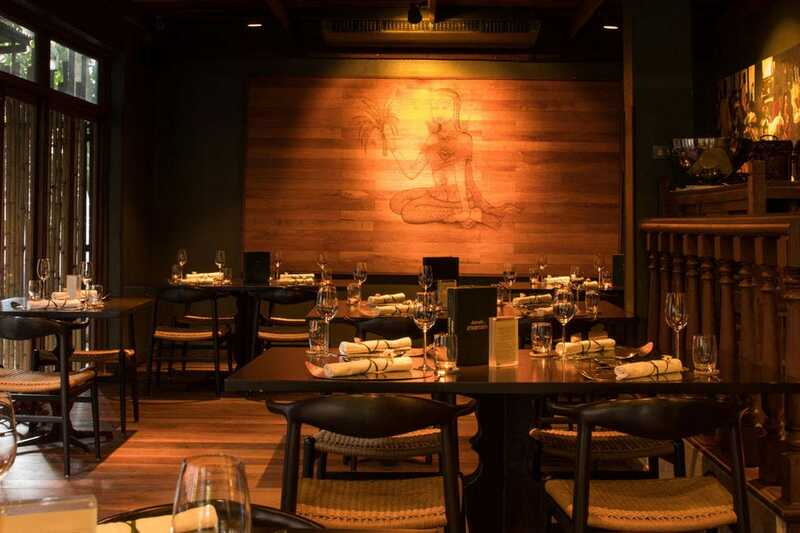 Michelin Bangkok has given the restaurant a Plate award, and one of the original branches of Somtum Der, started by Laoraowirodge in Manhattan, received a Michelin star. 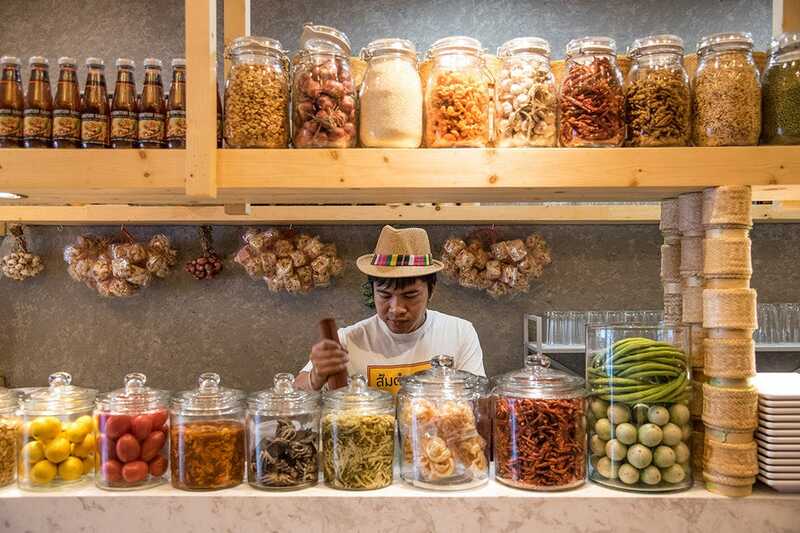 Laoraowirodge's other culinary endeavor, Supanniga Eating Room, also has a branch in Thong Lor, and features hard to find recipes from his grandmother's native Trat on Thailand's Eastern seaboard. 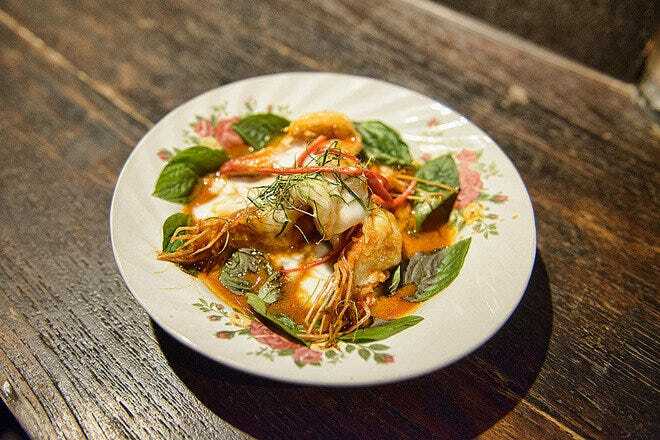 All of his restaurants focus on authentic and unpretentious real Thai cuisine at affordable prices, and Somtum Der is no exception to the trend.